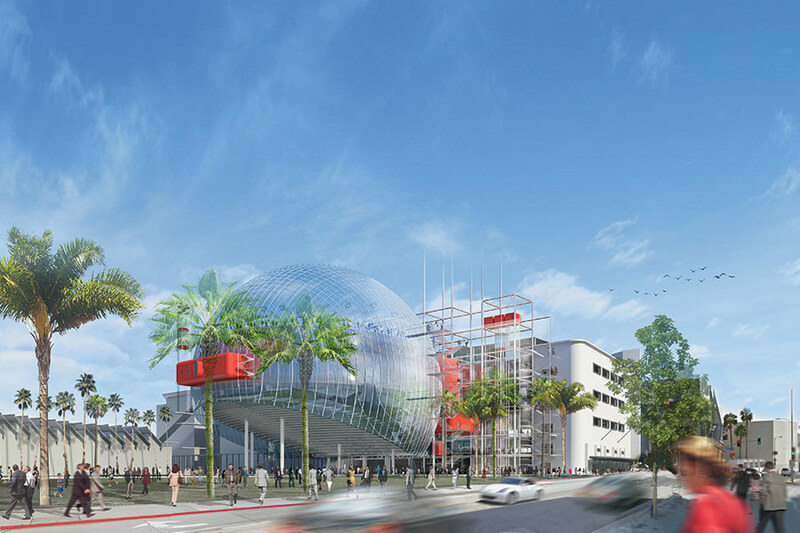 In 2012, Zoltan Pali teamed with Renzo Piano to design the Academy of Motion Picture Arts and Sciences Museum in Los Angeles. The project, built inside and behind the Streamline Moderne May Company building, is located on the corner of Wilshire and Fairfax Avenues. This spring, the Academy dropped Pali from the project. 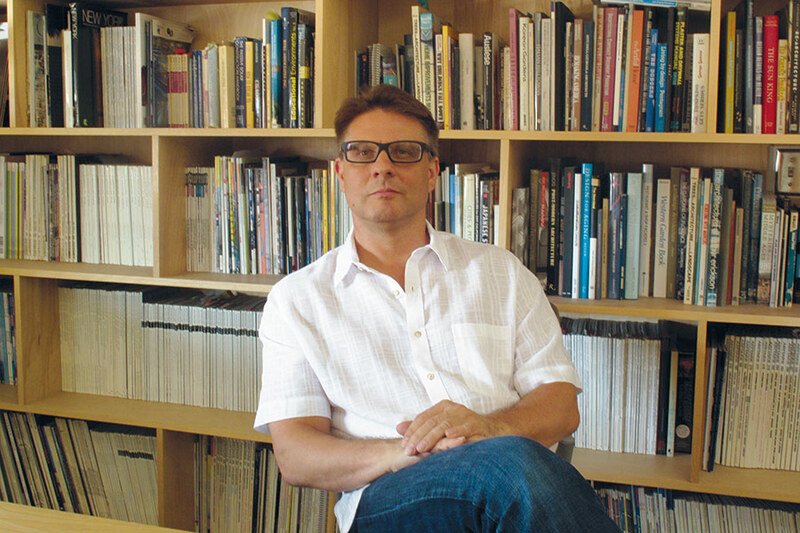 AN West editor Sam Lubell sat down with the architect to discuss what happened, and to see what’s next for him and his firm, Culver City–based SPF:architects. Sam Lubell: Originally three teams were shortlisted to design the Academy Museum: Morphosis, wHY, and you. Zoltan Pali: I understood why I was on the list. We had worked with LACMA’s then-president Melody Kanschat in 2007–2008. We had done a design for the interior of the May Company building, turning it into gallery spaces and offices. We had permits, and we were going to go to construction. But the financial debacle pulled the rug out from under that. And in between all that, every now and then Melody would call me to look at something, and ultimately we did the below the canopy restoration at the May Company. We had gotten to have a good working relationship together. So we submitted the proposal and then we did an interview. And we did well. I got a phone call saying that I did well, but at the same time, would I be willing to team up with Renzo Piano. That scenario wasn’t in the Academy’s original plan. Correct. And so, you know, having named my son after him, what was I going to do? Of course I said yes. 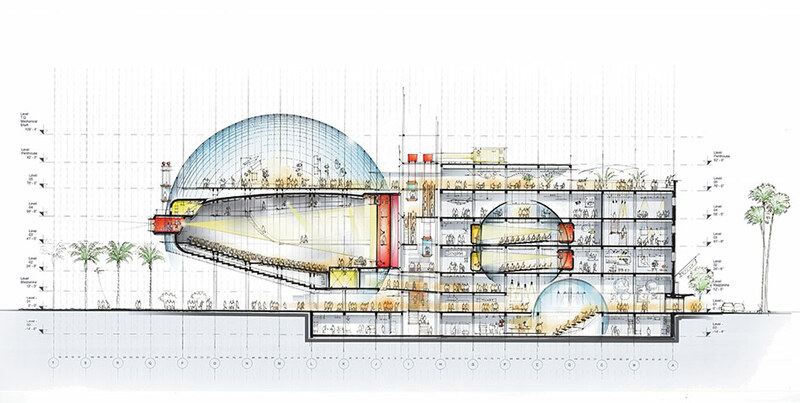 The thought at the time was a collaboration where Renzo would complete the master plan that he had started for LACMA, and then we would do what we were originally going to do inside the building. Ultimately we decided to sign a memorandum of understanding that basically said that we were co-architects, 50/50. It seemed like a perfect arrangement, actually. We started work, and it was balanced. But we recently came to the conclusion, after this much time and after where things were, that, you know, we needed to step back, step aside, and focus on other things. I can’t say it wasn’t disappointing, because obviously it was. So obviously there’s a reason why, and it sounds like there were differences. Artistic differences? Or was it a clashing of cultures? Or was it a little bit of all of the above? I wouldn’t say a clashing of cultures. I mean, maybe it would be a clashing of architectural cultures. Renzo was flying all over the world. He doesn’t have a whole lot of time, so he relies on his people. And it seemed like we were getting along fairly famously with them. But I think that, you know, if I was to suggest something, it was not always met with… I think what I expected out of the process was some sort of interesting discourse about what this place is about, and what film is about. How we express that. And that is not where it went. I think you’ve seen the images. And you’ve seen where it went. I don’t think it went to that sort of level of thinking. I think it went to more of an emotive expression. But, having said that, we were still going to be a good partner, and stay on board. But it just seemed like, from their side, that the tension got to be too much. Grumbling started, and it became uncomfortable. It was a very difficult place, because we had a memorandum of understanding that made us like one office, conceptually. And so they couldn’t really just go, hey, terminate one guy. So we had to “come to an arrangement.” We stepped back, and it was resolved in a businesslike fashion. And I think in the end it’s probably better for the project. I’m used to looking at things that were never built, and it’s always disappointing. It’s a big part of the profession. It’s a big part of the profession. You don’t spend two and a half years doing something and expect to just simply walk away no matter what it is. I can tell you, though, that I wasn’t pleased with the design. I wasn’t happy with it. I’m known to wear my emotions on my sleeve, everybody knows that about me. That’s not something I can hide. Can you go into specifics? I found it unusual given that I really appreciate Renzo’s work. It’s completely—it’s very tectonic, usually, right? Maybe it will change now. He’s gotten enough criticism about it. Maybe he’ll rethink it. So the sensibility didn’t match the program? Right. In my opinion. I could be completely misguided in that, but I was working on the ground enough with the folks in the Academy where people were saying, “What’s up? Can we fix this? Can we fix that?” We tried, but it met with resistance. And so you got the sense that it was becoming a difficult situation. Were there specific elements you differed on? Was it the sphere? I’m not a fan of it. I’m not a fan of the sphere. I think that there was a moment when it made sense, but then after more and more time it made less sense. It’s an odd shape for a theater. Difficult at best. You have a programmatic requirement and an element that was not asked for. If I could put it in the best way, I think that that element was making the rest of the project suffer. I think this still wants to be a museum of film, with a theater. As opposed to now, I think, it’s a theater with a museum attached to it. You mentioned that you wear your heart on your sleeve. It sounds like that’s a good and a bad. Is that something that you think can get you in trouble? It’s interesting. I have analyzed that, and even made others analyze it for me, but I am who I am and I’m not going to change, certainly at this juncture. Will I be more strategic about it? Possibly. Will I be a little bit more, try to be, you know, less reactive? Possibly. That’s an evolutionary thing. Obviously when I was younger I was even more reactive than I am now. You mellow with age. And you get a little bit smarter, but on the other hand you become a little more confident. And if you have a little bit of success, sometimes you have to draw the line, whereas maybe when you were younger you’d be more malleable. So I don’t think I’m going to change. It’s part of why people like me. I think those who do like me, it’s because they know that they get, the real me. The thing that’s frustrating from an outsider’s perspective is that I like to see firms that I think are emerging, that are on the cusp of becoming superstars, for lack of a better word, succeed. And it seems like this was a good opportunity. Yeah, and you know, I can tell you that from our perspective we saw it the same way. I learned a lot. I got the chance to see how that firm operates, and it has changed how I see things and how we deliver things and how we think about things. It was interesting that my clients didn’t actually tell me this, but they were all probably thinking, in the end, “Why are you doing this? Why are you worried? You’ll get that project down the line.” What would have happened if I said no when they asked me to partner up? I don’t know what would have happened, that’s a good question. And why was I asked? I can’t tell you what went on in their discussions or why the Academy decided to do it this way. It was in a frenzy, things were happening pretty quickly. I almost didn’t even question it, in a way. There must have been a reason, right? Because clearly they could’ve chosen Thom Mayne. I don’t know what that reason was. Are you still interested in really getting to the next realm, the next scale of architecture? Next realm, next scale. Definitely. We’ve been sort of, for lack of a better word, stuck in this. Stuck isn’t the right word, because it’s beautiful stuff we’re doing. I’m happy with the things we’re doing. But we’re trying to go up to the next scale of project and in the end this project and the new Annenberg Center in Beverly Hills are hopefully going to help us go to that next scale. What is the takeaway from all this? We may end up teaming up with others, but I’ll be more careful about it. Because inevitably you will have to team up. Some projects are so large that you’re going to have to. Maybe it’s a matter of how you set it up in the beginning, making sure that those things are clear, the roles are even clearer, and so on and so forth. And try to abide by those things.